The most important feeling a patient can experience as they walk into our office is concern for their well being. We do not rush patients, nor do we demand payment prior to treatment. We will review and help you with necessary paperwork, most of which, can be completed online prior to your initial office visit. Dr. Saponara will perform a full exam which takes approximately 60-90 minutes. Your exam includes a complete history, orthopedic and neurologic testing and assessments, and review any MRI or X-rays you may already have. After this is complete Dr. Saponara will review his exam findings with you. He will explain what he has found, treatment options, and most importantly, how to condition the involved area to prevent re-occurrence. 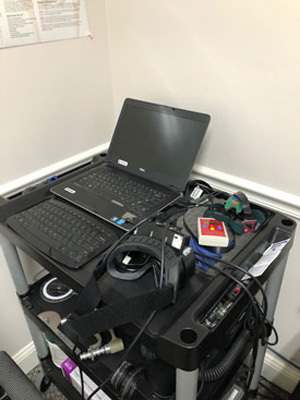 Treatment will be given in a private treatment room following the exam in most cases. We do not offer open room adjusting, your treatment and health concerns should not be shared with anyone else. 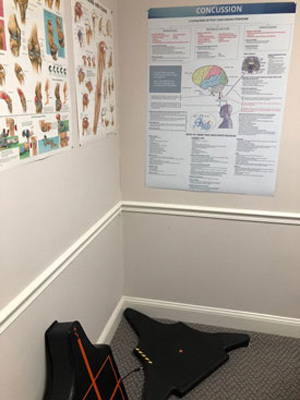 If during the exam Dr. Saponara determines chiropractic cannot help you, he will then give you recommendations on the proper physician referral that can best help your case. 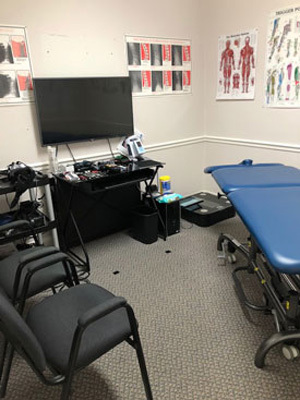 We have a flat rate for our initial exam/treatment, and a flat rate for treatments thereafter; it is one rate regardless of the amount of time Dr. Saponara spends with you, or the number of services we provide during that visit. Depending on the insurance plan that you have selected, you may be able to seek reimbursement. We can help you afford to get the health care services you need by providing different payment options for treatment. Along with standard payment methods of cash, check, charge and debit card, we also accept, and can provide CareCredit healthcare financing.